luis carlos I am re-activating this expired deal. I will update it and validate that it works. 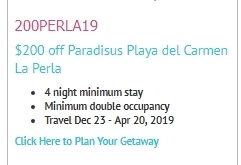 Allen Miller Save $200 Off on 4+ Nights Paradisus Playa Del Carmen La Perla Vacation Package at Cheap Caribbean. 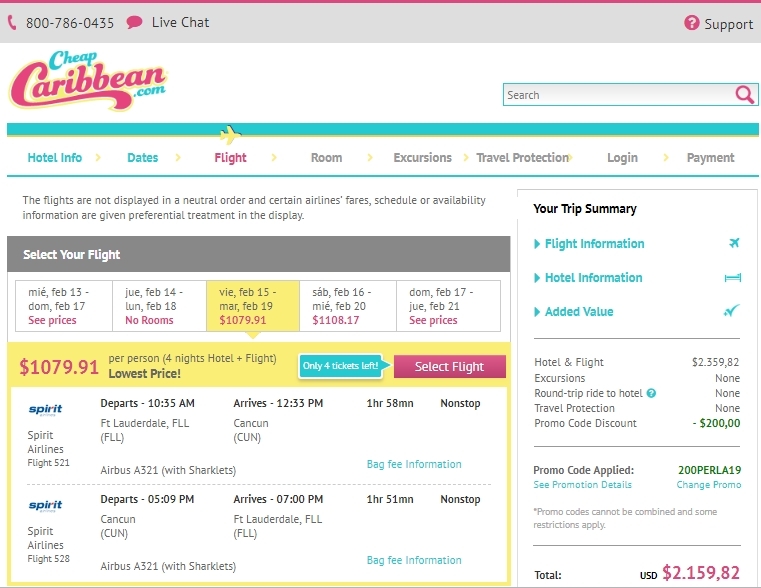 Tested this promo code and verified that it works as described. Use promotional code 200PERLA19. 4 night minimum stay. Minimum double occupancy.